This April, the Australian Defence Ministry confirmed that Australia will not join India, Japan, and the United States in the upcoming Malabar naval exercises scheduled to take place near Guam. Collectively called ‘Exercise Malabar’, these drills began in 1992 as annual bilateral naval exercises between India and the United States and were expanded to include Japan as a permanent partner in 2015; since 2007, Australia and Singapore have participated as informal parties. Australia’s exclusion this year comes as a sharp divergence from the interest the four nations expressed in reviving the Quadrilateral Security Dialogue (the Quad) – an informal strategic dialogue initiated in 2007 by Japanese Prime Minister Shinzo Abe. Though it is reminiscent of Australia’s formal withdrawal from the initiative almost immediately after their first joint naval drills, purportedly under pressure from China, Australia’s bid to rejoin exercises this year was rejected by India – a move that may be an attempt by India to thaw Sino-Indian relations. These developments reflect an intense power struggle in the Indo-Pacific, the future of which appears to be increasingly defined by the Quadrilateral Security Dialogue. Following the meeting, it was widely assumed that Australia’s reintroduction into the initiative would manifest, like in 2007, in its participation in this year’s joint naval exercises. India’s rejection of Australia’s request to join Exercise Malabar, therefore, comes a surprise to many. It should be noted, however, that Australia’s announcement comes on the heels of the recent “informal summit” between Indian Prime Minister Narendra Modi and Chinese President Xi Jinping in Wuhan, China. This was the first meeting between the two leaders since the seventy-two-day armed standoff between both countries in the Doklam Plateau early last year. The meeting, thus, was an attempt to hit the ‘reset’ button on Sino-Indian relations, which have soured over the past few years, owing to disagreements over issues such as Chinese infrastructure projects passing through disputed territory and India’s bid to join the Nuclear Suppliers Group. It comes, moreover, at a point where there is increasing consensus in both countries that bilateral engagement and development of new frameworks for cooperation are the way forward. In this light, India’s active engagement with the Quad would undermine any such bilateral efforts in Beijing’s eyes. Although India is unlikely to advocate for the adoption of a purely military, NATO-style strategy by the Quad, it would be far-fetched to designate Australia’s exclusion the death of the initiative. Presently, part of the challenge facing the Quad is the lack of a clear agenda from the four nations. This ambiguity fuels China’s suspicions of the Quad as heavily centered around a “containment policy”. On the other hand, this ambiguity presents itself as an opportunity to clearly define the contours of the quadrilateral arrangement. There is little doubt that a political-military strategy would form its cornerstone, yet, there are ways to broaden its focus; the four nations, for example, could agree to increase economic cooperation and joint investment in the region to develop an alternative to Chinese finance. For the Quad to materialize, it is necessary that Australia, India, Japan, and the United States adopt a clear agenda that attempts to overcome the wider political concerns that threaten its existence. As it stands today, that conversation is yet to be had. 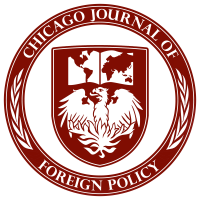 Next: Next post: CJFP’s Spring 2018 Print Edition!